Pamela Hart is an award-winning author of historical novels. Her most recent novel is The Desert Nurse, set in WWI, which tells the story of a nurse working with the ANZAC wounded in Egypt and the Sinai. Her first novel, The Soldier’s Wife, was based on her grandfather’s experience of being wounded at Gallipoli and his life after he returned to Australia. 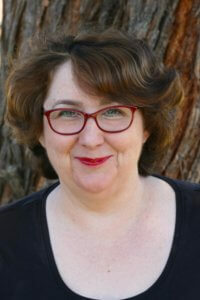 Writing as Pamela Freeman, she is well-known (and highly awarded) as a children’s writer; her books include the NSW Premier’s History prizewinner The Black Dress. Pamela also writes epic fantasy for adults, and is published worldwide by Hachette. Pamela is appearing at the 2019 conference. Pamela’s latest book is The Desert Nurse. Let's make a noise about historical fiction! Subscribe to our newsletter for interviews, reviews, news and more! How did you hear about HNSA? What is your interest in historical fiction?